In the world of creative writing, we’ve only begun tapping the possibilities in speculative fiction, a genre that includes science fiction, fantasy, paranormal, supernatural, horror, and superhero stories, as well as anything that ventures beyond known reality. Speculative fiction is an under-recognized genre: academia and literary elitists traditionally haven’t given it much credence, although it has been gaining acclaim in recent years. But the genre’s fans are rabid. In fact, you won’t find a more dedicated group of readers anywhere else, which makes reading and writing speculative fiction a delight. Plus, it’s a lot of fun to step outside of reality and see just what your imagination can do. You can write about knights and dragons, spaceships and far-off planets, the apocalypse, ghosts, or strange islands with magical properties. In the world of speculative fiction, anything goes. The creative writing prompts below can be used in any way you want. 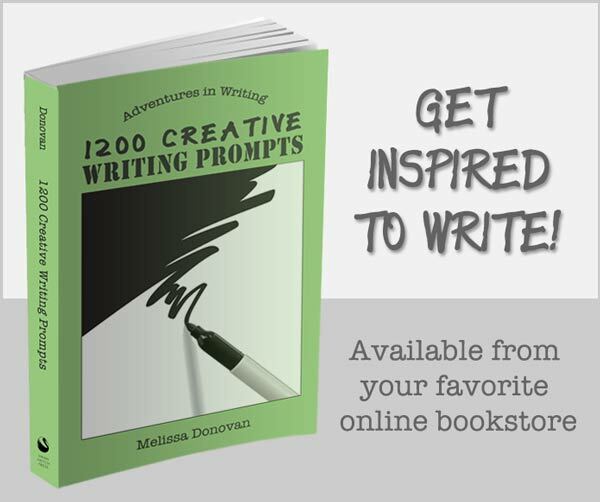 Have fun with a freewrite, compose a poem, or draft a short story. Who knows? Maybe one of these prompts will inspire an idea for a novel. And if you’ve never given science fiction or fantasy a shot, this is your chance to test the waters and find out just how deep they are. As passengers disembark from a transatlantic flight, they start to experience amnesia—all of the passengers except one. The farther they go from the plane, the more severe their amnesia becomes. Will they risk forgetting everything? Four friends on a nature hike discover a deep cave, complete with running water. As they go deeper and deeper into the cave, they find strange objects–human skeletons, an old computer from the early 80s, a gas mask, and strange mango-sized orbs that emit a glowing blue light. The earth has been ravaged by war, famine, disease, and devastating natural disasters. In less than a decade, the population has dwindled from seven billion to less than 42,000. There is no law or order. The grid is gone. Everyone is struggling to survive. The year is 1623. A visitor comes to a small, tribal village. The visitor is wearing blue jeans, an old rock-band tee shirt, and a fedora and is carrying a pack that contains a solar-powered laptop computer. Two children, a boy and a girl, decide to make a time capsule and bury it at the edge of a farm, under a big oak tree. While digging, they unearth a metallic object the size of a shoe box. It’s shaped like a bullet and has the number 8 engraved on it. It appears to be a container, since it rattles when they shake it. But there is no obvious way to open it. A man who sees ghosts checks himself into a mental institution, oblivious to the fact that the facility has been closed for almost thirty years. A surgeon who does not believe in miracles is diagnosed with an aggressive terminal illness and is given six months to live. Three years later, the surgeon is alive and perfectly healthy. A con man who convinces people they’ve been abducted by aliens and takes their money… is abducted by aliens. A deadly virus hits a highly populated metropolitan area, killing thousands of people. After it passes, those who survived start realizing they have acquired bizarre talents and abilities. A traveler picks up a souvenir, a strange and colorful rock with one side that is completely flat. As she goes about her travels, she realizes that when she has the rock with her, she can understand any language that people are speaking but can only speak her own native language. While on vacation on a tropical island, a young couple spots a strange bird that speaks their names. When the bird takes off, they decide to follow it. A sixteen-year-old growing up on a ranch is out in a storm, gets hit by lightning, and survives. After that, the kid can hear other people’s (or animals’) thoughts. A young girl starts having recurring dreams about a dragon. In one of the dreams, the dragon says, “You made me.” The girl becomes obsessed with dragons and decides her life purpose is to become a genetic biologist so she can, indeed, make a real dragon. A team of researchers in a submarine is caught in a deadly sea storm. The instruments on board go haywire. The submarine submerges deep into the ocean in search of calm waters until the storm passes. Afterward, the submarine surfaces, but the instruments are still not functioning properly. They can’t get a fix on their location or find land, which should be nearby. When night falls, the researchers realize there are two moons in the sky and the constellations are completely unfamiliar. Remember, these creative writing prompts are meant to be inspiring. If one of them gives you an idea, run with it. You don’t have to stick with what the prompt says. Change the characters, the situation, or the setting. Just go with the flow, and keep writing. And if you have any creative writing prompts of your own, feel free to share them in the comments. *All of these creative writing prompts were inspired by the television show LOST. Awesome! Be sure to come back and tell us what you came up with. I hope these prompts inspire you. Sometimes the only way to get past writer’s block is to force yourself to write, even if you’re not feeling particularly inspired or passionate. Aim for 250-500 words per day, give yourself writing assignments (writing exercises are great for this purpose), and the block will subside. This looks great to a aspiring writer like me….. this makes me to get more ideas on sci fi stories and other stuffs…. Nice and useful work ……. Thanks! I had a blast coming up with these prompts. I love reading speculative fiction and I agree, it is an under-recognized genre. These prompts are amazing, really a wonderful gift to the writing community. Thanks, Charlotte. I’m a huge fan of speculative fiction in everything from books to movies and TV shows. Awesome! Comments like yours inspire me to keep creating these prompts. wow i read through most of these and a smile cam out everytime. I write these ideas down and of course ill run with them. These are awesome. Thank you! Thanks, Amanda. I’m glad you had fun with these. I definitely had fun writing them! I reallylike these prompts – they give enough detail to spark an idea but are not too restricting – awesome job. I set prompts for my writers circle web site every Saturday so if you would be kind enough to give me permission I may use one or two of the above. The site is – http://wfscsherwoodpark.com so please feel free to visit before making a decision. My first novel was speculative fiction – set in an alternative world with woman ruling the men. Thank you for the prompts and I hope to hear from you in due course. Thanks, Mandy. Yes, please feel free to share the prompts with your writing group. However, the article containing the prompts cannot be republished in full anywhere except here at Writing Forward due to copyright. You can always use a link! Well, nobody’s forcing you to use them. I’m sorry you’re cranky. I re-read these prompts and I just don’t see them as childish. But everyone’s entitled to their own opinions. These prompts are amazing!! My imagination is already running wild on several of your ideas… Love, love, love them!! Thanks, Bradly! I’m glad you found these writing prompts helpful. Best of luck to you! Wow, I’m so impressed by these prompts! I love them. All the writing prompts I’ve encountered before have, for the most part, been SO dull; these are far from. Thanks, Lauren! I am so glad you found these useful. And thanks for letting me know; comments like yours keep these prompts coming! That’s great, Avery! Thanks for sharing it. I just used the idea though. Someone gave it to me as a prompt for a contest. Then, I was browsing through google and came across it here! Just thougt you’d want to now. Thanks! These are amazing! I’m sure to use a few! I am a 6th grader. my friends and I are all fans of different genres so we are having a contest to decide which one we like the most as a whole. I obviously like speculative fiction! thank you for the promts!!! Speculative and literary fiction are my favorites! along with being sick for the past five days I’ve been on writers block and been looking up prompts like crazy. Finally I realized that if a prompt got me interested the thing to do was let my mind run with it and here’s what I came up with: It’s 2058 and archaeologists have started uncovering some unusual skeletons in the remains of mountain ranges and the arctic. Multiple of the skeletons resemble what we would think to be dragons. Others are equine with a single straight bone from the forehead. They’ve discovered the bones of creatures said to only exist in fairy tales. On the day a high school sophomore class takes a field trip to a museum with these skeletons, a new person transfers in- seeming to know a little too much about the creatures after the recent discovery. The guy showing her around wanders off to a dragon skeleton and the new girl follows. A portal appears and takes them into the world where the dragons ran away to after they started getting pushed to the edges of the Earth. It turns out that the museum is enchanted so that whenever someone who had been exposed to that creature when they got near it’s skeleton they would be transferred to that animal’s hidden world. Bit confusing and cliche but…just came up with it. Wow, Alex. You’ve developed quite a premise for your story! It sounds like a YA fantasy novel, and I think it’s interesting (not confusing or cliche). Keep it up! These are fabulous! Bravo on making incredibly interesting prompts, they’re surprisingly difficult to find. Wow! Old post, but a good one 🙂 I was just browsing through your site, looking for some inspiration. Your prompts are all excellent! I’m definitely bookmarking this post, in particular, because I’m a sci-fi/fantasy fan and writer. #5 is my favorite because it reminds me of one of the greatest short stories ever written (“Mimsy Were the Borogroves” by Lewis Padgett). Thanks, Jimmy, for your kind words. I’m glad you found these prompts helpful. I’m a huge sci-fi fan myself. I haven’t heard of the short story you mentioned (that I can recall), but I’ll be sure to check it out. Hi Jennifer. I’m so glad these prompts inspired you. Good luck with your story, and keep writing! THANK YOU SO MUCH! These prompts were just what I needed! I’m already 2000 words into one of the most gripping tales I’ve ever written! Do you happen to have more ideas for prompts? Yes, I have dozens of prompts right here: writing prompts. Have fun! Thanks for this. I have an idea but have a fear of starting as i dont have the middle or the ending of the story as yet. Is this the case for many people? You don’t need a middle or end to start writing, and it’s definitely common for people to experience fear or anxiety when facing the blank page. A lot of people find that if they just start writing, the middle and end will eventually come to them. Ask yourself this: what’s the worst thing that can happen? You write a few pages and nothing comes of it. Maybe you don’t like it or it just doesn’t go anywhere. So what? It’s just a few pages. The next few pages will be better. So just go for it!